If you live in a rural area, it can be hard to think of business ideas. Many markets that would be available in the big cities are not the same in remote communities. There are also unique problems these communities face. With these different markets and unique problems, there are some great potential business ideas for these rural areas that can be started full time or on the side. So if you’re ready, let’s dive in. You may have heard of a dog walking service, but what about a horse walking service? In many rural areas, you’ll find farms and properties that have horses. And sometimes, the owners don’t have enough time to make sure the horses get enough exercise. If you’re a horse lover, this would be a great rural business idea that you can start. You can begin by going around to your neighbors that have horses, and seeing if they would be interested in your service. Using their equipment, you could save money on expensive horse equipment and also charge them a lower rate so you’re both happy. Many rural properties use composts in their yards to get rid of food scraps. This is a great way for homeowners to lower their garbage that they need to dispose of, and also a great way to create new soil for planting season. However, a major issue that some homeowners in rural areas have is that they don’t have places to dispose of their compost or a way to get rid of the extra dirt. This service would cater to that problem by providing people a way to remove old compost and extra dirt they have for free, instead of them dealing with it themselves. You could then sell the extra dirt you get or setup an area to dump all the collected composts so you can create new healthy dirt to sell back to the community. The internet infrastructure, especially in rural areas, needs some serious upgrades and maintenance to get to the level it should be with speed and connectivity. To help with this problem, many governments and organizations are offering funding to companies that will help address this issue. If you’re skilled in internet infrastructure or construction, this may be a great company for you to get involved in. You could begin by assessing the areas in the community that are in the most need of improved internet infrastructure. From there, see if there are any grants or programs that will help fund your new business, or if they have proposals for areas that need improvements too. Running an online business can be great if you live in a rural area because you don’t need access to big city resources to be successful. This idea is left generic as there are tons of different online businesses you can start, so if you’re interested in this, you’ll need to spend some time on niche research. And, this type of business idea allows you to work from home if you’re interested in that. There may be people who need help with building custom chicken coops for their property. It can be an integral part of a farm or a great way for a family to provide a food source (eggs) for neighbors and themselves. Some remote areas even have industrial sized chicken coops, which presents growth opportunities for this idea too. This company could be started by putting together three to five different plans for chicken coops and then going door to door to sell them in your rural neighborhood. After a consultation, you could customize the plans you have to fit the exact needs of the client. There are two potential business models for this idea. Charging a fee for the plans if the landowner wanted to build it themselves, or charge a more comprehensive fee and build the whole thing with you or your team. In many rural areas there isn’t enough population to have a wide variety of services and product offerings from many different stores. This causes many people to travel into the big cities to get the variety of goods and services they need to fulfill their needs. The Everything Corner Store company would provide all the varieties of products and a few high-demand services to people living in the rural areas, saving them considerable amounts of time and effort when commuting into the city. To start this retail business idea, start by surveying your neighbors in the rural areas to see what the high demand products and services are. Then you can begin by stocking up a small shop with those goods. You could even sell these items and services from the comfort of your home if you have space and want to save on rent. Yards in rural areas can be massive, spanning a few acres in some instances. This rural business idea would be a Yard Cleanup Service, specializing in cleaning large yard areas, and differentiates your business from competitors that do smaller yard cleanups and landscaping. Many rural homeowners may find this handy because managing such large properties is a lot of work, and a break once and while is needed. If you have access to a ride-on lawnmower and any other power operated yard tools as available resources, this could be a great company to consider. Of course, since you are working with larger areas that need cleanup, you can charge much more for your services. Many rural areas are dependent on farm equipment to maintain the crops and their land. And like any machine, it will need regular maintenance and sometimes emergency repair, which is where this company can come in. If you have a friend who is a heavy-duty mechanic or you have those skills yourself, you could easily start this company with little start-up costs. The big expense may be tools that you need to operate the business. If you could partner with farm equipment manufacturers and dealers to get in contact with their client base, you could easily access great leads for your business that have the equipment and many need emergency repair or maintenance after the regular warranty is over. This rural business idea would help the people that live in those farther regions and love their online shopping, as it can save a lot of time rather than going to a big mall in a nearby city. In many of those communities it is expensive to get items shipped because the companies that operate the regular shipping routes cannot afford to drive out to those farm or rural areas. By setting up a warehouse and operations center, you could partner with large shipping companies so they can pay you a fee to use your warehouse and center to manage their shipments to the rural areas. Ultimately helping them expand their reach and help lower costs for the online shopping lovers. Similar to the shipping issues in the rural areas touched on above, there is also a problem with the general infrastructure in these parts. This is because they lack the support from the municipality or region to fix broken roads, which is where this rural business idea comes in. To begin, you can approach the organizations that manage these regions and see if they have any budget or support to fix these things, which they usually will. Then you can work with them to get these jobs secured to fix pieces of the road that are broken, fallen trees in important areas, etc. Uber and Lyft have taken over the ride-sharing game. However, the one downfall they have is that there are not many rides available if you live far from a city, because it is usually expensive for the drivers to come out there. If you live in a place that accepts ride-sharing, you could start this in a rural area by building your own app that is specialized to the more remote places. To keep this small and low cost in the beginning you could start by just offering rides in your area using a website that people can book on or call you. Just make sure you have the right insurance. Many marketing agencies specialize in reaching people in big cities, online, or through places like TV or billboards. But there are not many people that specialize in targeting strictly rural communities. That is where you could come in and start a side business that specializes in marketing to people in the rural community. This business could charge other companies a fee per lead or a fee for the service done, and your company would go door to door to market the services or products of your client. You could also specialize in doing online marketing that targets rural people only and specialize in the platforms, forums, and online communities they use most. Many rural areas are hard to reach for regular shipping companies due to the complicated logistics involved. Also, it is quite expensive to operate a shipping company that goes into the big cities and outside to the rural areas due to the large distance. Ultimately presenting the problem that people who live in these areas pay extreme prices or can’t get delivery at all. To help fight this problem, you could set up a shipping operation that would serve the rural areas. The shipping companies that operate primarily in the city would bring the packages that need to be delivered in your area to a central warehouse. From there, the packages can be distributed into the rural areas using your crew of drivers. 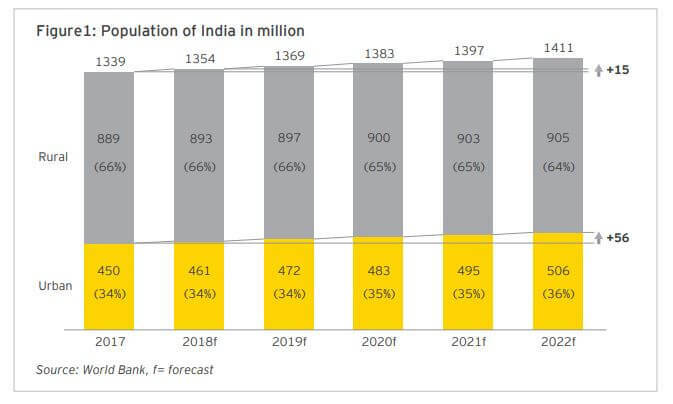 This business idea would also be great for India due to the rising population. 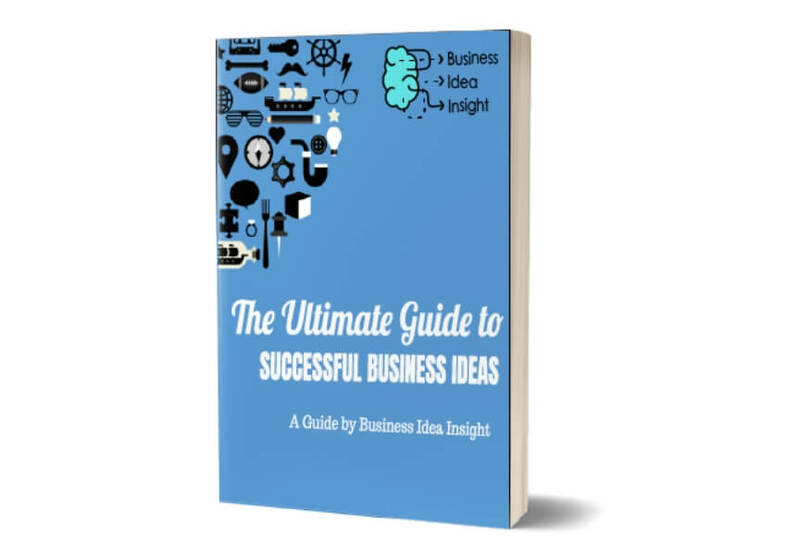 Subscribe and get instant access to exclusive side business idea guides, strategies, and tips. There are some people that move far out to remote communities because they want to be off-the-grid, as they don’t want to be detected or they like to live alone and in the wilderness. The problem here lies in the abilities of the people that want to live off-the-grid. They usually don’t possess all the skills they need to build plans for an eco-friendly and self-sufficient home, or know how to build a proper off-the-grid sewer system. If you have an interest in this, consider starting this company. You could charge a service fee for your labour if they needed you to do a lot of the work and also a fee to draw and build the plans, and develop the strategy to get the job done. If you don’t have all the skills necessary just as drawing plans for a home, you can always contract this out to another professional and add that into your cost structure of your business. The tiny home movement is growing significantly across the globe. Many people want to downsize where they currently live and buy a small house that is more affordable. However, there is a major issue with the tiny homes, as it’s hard to get land for the tiny homes to be stationed on. If you live in a rural area and have access to an extra plot of land, this would be a great business idea for you to start on the side. By putting up a website and running some ads to tiny home communities in your surrounding areas, you could easily get clients that would pay you a monthly fee to station their tiny homes for a month or however long you agree to. Heavy duty equipment is in high demand in farm and remote communities as it makes work on large pieces of land much easier to perform. If you recently move to a new farm community and begin your life there, it can be hard to instantly buy all the heavy duty machines you need to make that work easy. That is where this company can come in. If you have access to a tractor, you could rent it out to people in the area. You have a couple of options for business models. You could rent it out to the people that need it and they could operate the tractor, or you could do all the operating yourself. If you choose the first model, you will be able to rent the tractor out longer, especially if this is a side business. Tech support is always needed. No matter where you live people use computers, printers, cell phones and other pieces of technology. And one downside to living in remote or farmland areas is that you have to drive to the downtown centers of nearby cities to access amenities like in-person tech support. Presenting a problem in these peoples lives due to the severe inconvenience. That is where this company can come in and it could even be run from the comfort of your own home. By setting up a small shop in your home, people in the community can come by to drop off their equipment to your home or mail it to you. Then you’d get to work fixing it and deliver the fixed device back to him. People could get in touch with you through a website and book your services there too. A large problem with living in a rural area is the inability to access electric car charging stations. But many people who live in these areas would love to own an electric car, but choose not to due to the inconvenience of having to drive quite far to get it charged and then drive home, wasting a lot of time and even the cars battery just doing all that driving. By setting up a small area in the center of the rural community, you could easily put up some charging stations. This is a great side business to run as you usually don’t need to be at these stations to get the revenue potential of having people use the charging stations at all hours. And the great thing is, is that you wouldn’t need to know how to build or install these, you could contract that out. A huge problem that many people in rural communities in the USA report is that they have a hard time finding employment. While this can be an issue of not enough job supplies and small businesses in the area, this also can be an issue with people needing help when it comes to looking for and getting a job. That is where you can come in and help to solve the problem. By starting a rural based employment agency, you’d specialize in helping place the right people for the right positions in and around the remote parts of the town or city. This would help companies that operate in these rural communities as it may be expensive to advertise to the right people. To make money, you could charge these businesses a small fee for each employee that you find and place in a position that they are qualified for. Another major issue in remote communities is addiction. Specifically, opioid addiction. In many instances, there is no help in these remote areas for people that have these addictions and if they do want help, they have to relocate to different parts of the state or province completely. With the inconvenience caused by this relocation, some people may choose not to enter rehab. A one-on-one client rehab service could be started on the side to help combat this problem. Instead of starting and creating a whole facility where people would come, you could keep this business small by only offering services to one client at a time. This will also help keep costs low in regards to service offerings. Another major problem identified in many rural communities across the globe is the retiring population. Many of the business owners in these areas are coming to the age when they are looking to retire and hand off the business responsibilities to someone else. However, many of them are having troubles doing that due to the qualified labor shortage. That is where the business operations company comes in. By providing a service that works with the business owner to find and train the right person to take over the job, you could easily help them solve this issue. This would be a great business to start on the side too as you could charge quite a bit for this service because you would be helping these business owners maintain control of their company and be able to semi-retire in confidence. And one can begin by working with only one client at a time so you still have time for your day job. Rural and remote communities are prime for outdoor adventures and activities because it’s a lot easier to access the trails, hikes and other places where you can do outdoor activities. By starting an outdoor action sports rental service, you could take advantage of the landscapes around you and provide a fun experience for people too. To start this business on the side and keep it small at first, you could begin by offering rentals for sports where you already have equipment. For example, if you have a couple mountain bikes laying around or a few jet skis at your home, this would be a great place to start with rentals. Two business models could be used here. Either you could rent the equipment to the client for them to take from your home and use on any trail they’d like, or you can charge a more comprehensive fee and take the clients out on the adventure yourself to add more value and give them a tour if they are unfamiliar. The latter option may limit you in terms of how much money you can make if you’re running this on the side though, so keep that in mind. Many rural and remote areas require investment for upgraded infrastructure, small business and community initiatives. Many municipal governments or mayors cannot provide the level of funding needed to properly address the infrastructure upgrades or small business loans necessary to grow the area. By starting a rural investment fund, you can begin by approaching other serious investors in the area or surrounding cities to raise money for the fund. Then you can begin working with the investors, your local municipality or government and others interested in starting a small business so you can fund these projects and generate a return on for your investors and money for yourself. This is quite different than many other business ideas listed here, but it could still be started on a small-scale if you worked with only a handful of investors who’d bankroll your fund. While a house-sitting service is not new and revolutionary, it is certainly needed in rural communities, especially those with unique animals that need to be taken care of. People that live in these areas still love to take vacations, however, it can be hard for them actually get away from their property due to the animals and tending that must be done around the farm or land. By specializing in taking care of these unique animals like horses, chickens, sheep and other farm animals, you can become the go-to service for people in rural areas that need their home taken care of. And in many instances, you can coordinate this with your full-time job so you can still run this business on the side. The great thing about specializing in these unique and complex properties that need looking-after is that you can charge higher prices too. The customer can simply book the times in an online calendar that you can set up on a website so it’s easy for both the customer and you to manage these bookings and your time. People that live in remote areas tend to have the drive and determination to fix and do things themselves. For instance, fixing up their horse barn or fixing a fence. But in some rural cities, it’s an inconvenience to get the proper supplies you need to conduct these small fixes. Not every rural community has a hardware store so supplies may need to be picked up from a downtown center or neighboring city. The small-scale hardware supply store would prevent this inconvenience by providing the parts and supplies that this demographic needs to complete their small-scale repairs or projects around their property. A premium price can be charged compared to other stores since you’re removing the inconvenience involved with getting these supplies elsewhere. Small towns and rural communities are filled with the people that supply many of the surrounding areas with the fruits, vegetables and other grown goods that people require. There are several farms that also need help with labor as the owners get older and as more and more people are moving to the city. To help them, you could start a crop production labor service that would help these people plant, pick and manage their crops. By charging an hourly or single flat rate, you could make some good money on the side with this business idea. If you’ve wanted to get into personal training or know someone who is a trainer you can go into business with, this service would be great for you to start. The problem solved here is that people who live in remote communities don’t always have the time to go to personal trainers in the big cities where most of them are located. Instead, you can come to them or they can come to you and it’s only a short commute for them, saving them time. A potentially profitable side business idea for rural areas could be running an ATM network. Many third-party ATMs have a provider charge a fee per use and the owners make money that way. By placing your ATMs in places that make it really convenient for the community, this could be a great side business to start as you don’t need to be at the ATMs when people are doing their banking. It does take more upfront investment, however, it could pay off in the long run. Some people who live in remote areas often commute into the bigger cities for their work. Living out in these areas is more affordable for housing and living, which is why it is an attractive alternative for most. This business idea would involve working with the people who want to work remote. They would obviously need to talk to their employers and get a recommendation for you to be hired as a remote working consultant. From there, you would charge the company a fee for providing all the necessary equipment, security and resources so the employee can work from home effectively. Finding quality day-care services in rural and remote communities can be a challenge for families who live in these areas. Many of the high-quality day cares will be located in the city because there is higher demand there and they can charge more. However, many people who live in these remote communities want access to higher quality day care programs and this is where you could come in. If you’re qualified to look after children and can find a clean and safe facility to do so, this could be a great niche business idea to start. By charging a monthly fee per child, you can target the people in the community that travel the long distance for the day cares and see if they want to switch to yours.